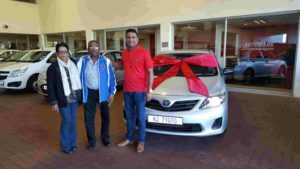 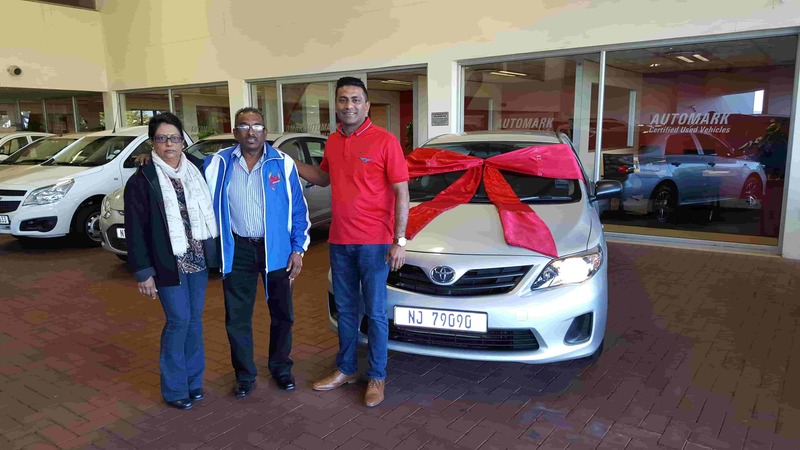 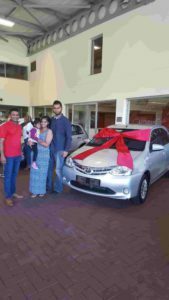 Mr Rajbansi spoilt Mrs Rajbansi with a Corolla Quest. 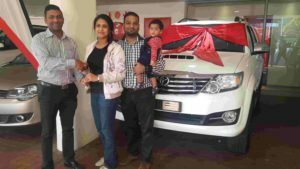 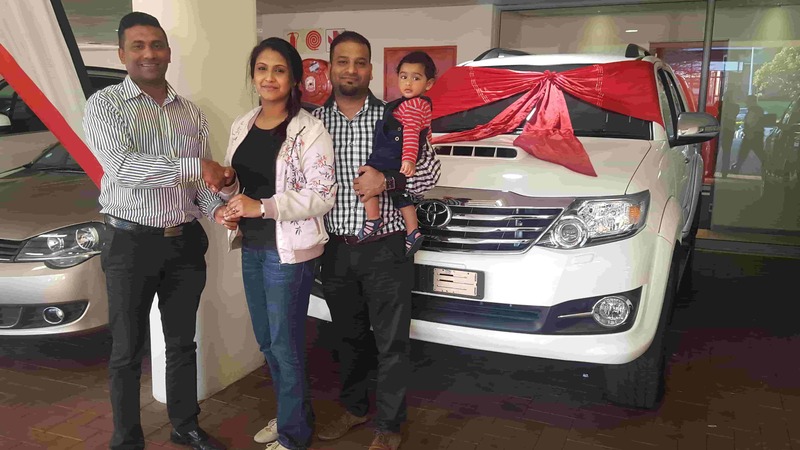 Mrs Reddy thrilled with her Toyota Fortuner. 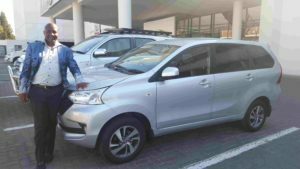 Mr Siphiwe Mngenge with his new Avanza which was delivered to him in Johannesburg. 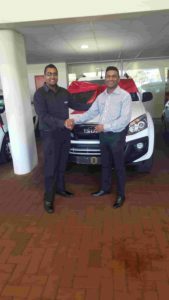 Ashen Rugdeo all smiles as he accepts the keys to his Isuzu Double Cab. 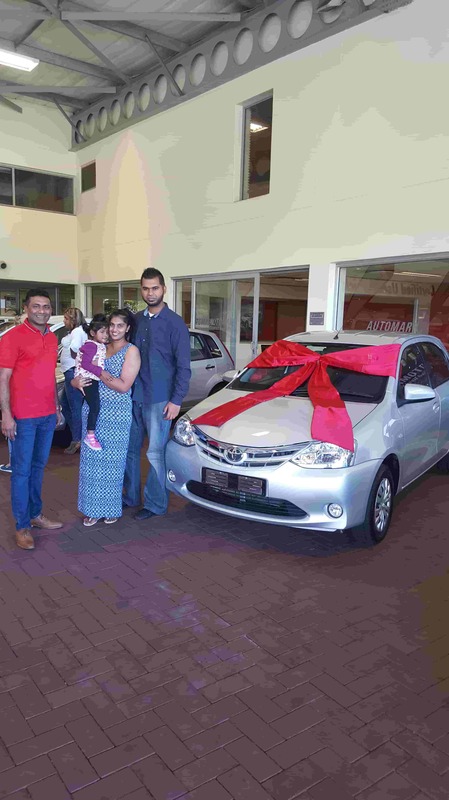 Mr Zain Adams with his Toyota Etios. 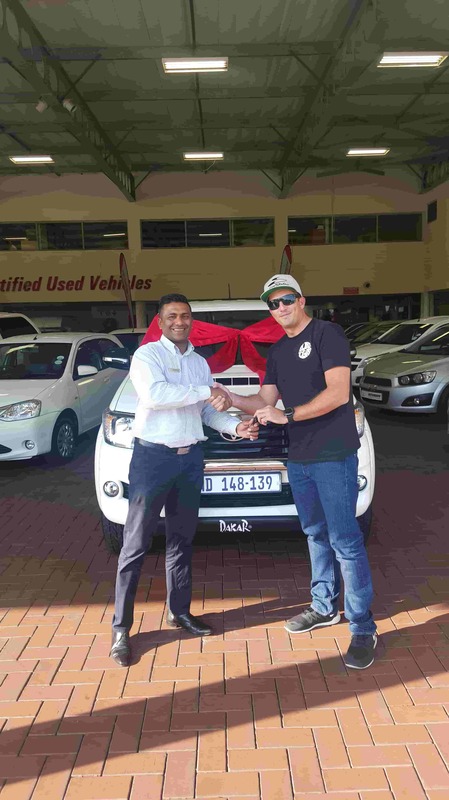 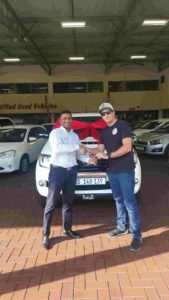 Mr Warren Le Roux with his new Hilux Dakar Double Cab Raider.